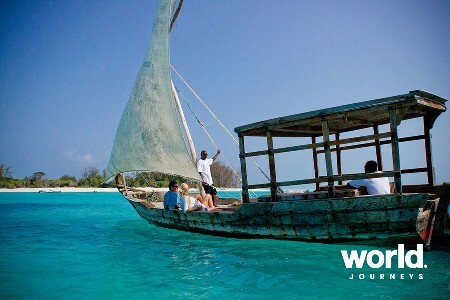 On this small group scheduled tour, you'll visit the hotspots of Tanzania's safari destinations! 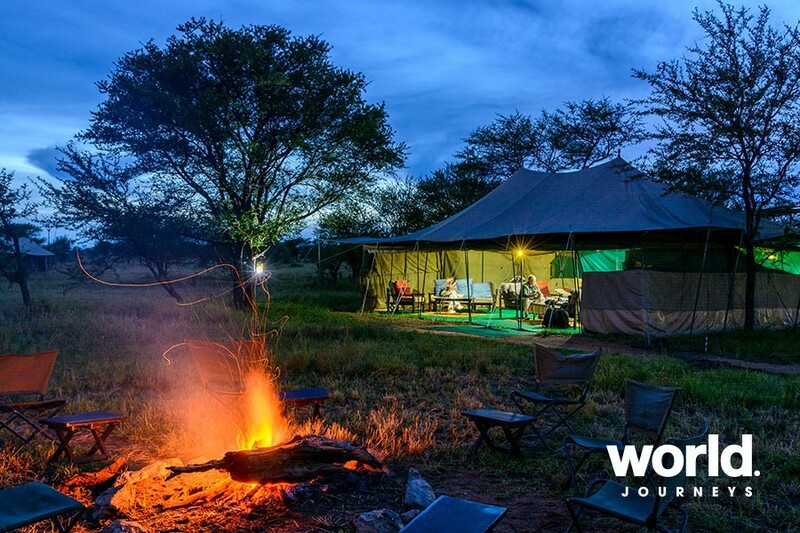 Stay at eco-friendly tented camps and lodges and away from the larger crowded lodges during peak seasons. A one way scenic flight on the return is an optional extra. 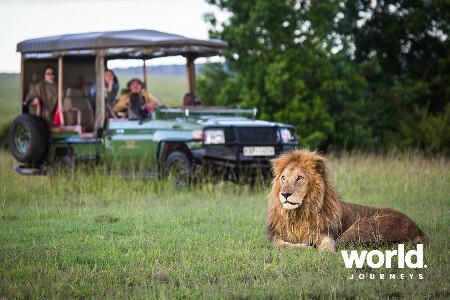 This is a wonderful safari for those short on time! 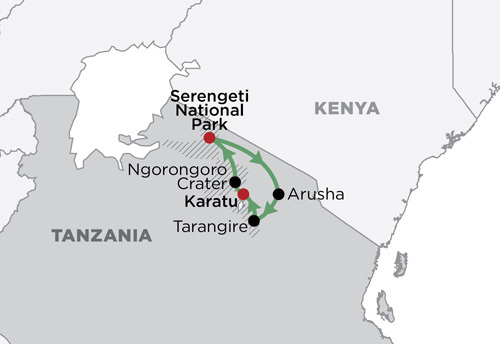 Day 1: Arusha > Tarangire > Ngorongoro From Arusha, drive to Tarangire National Park for a game drive and picnic lunch before continuing onto Ngorongoro area to overnight at a lodge in the Karatu highlands. 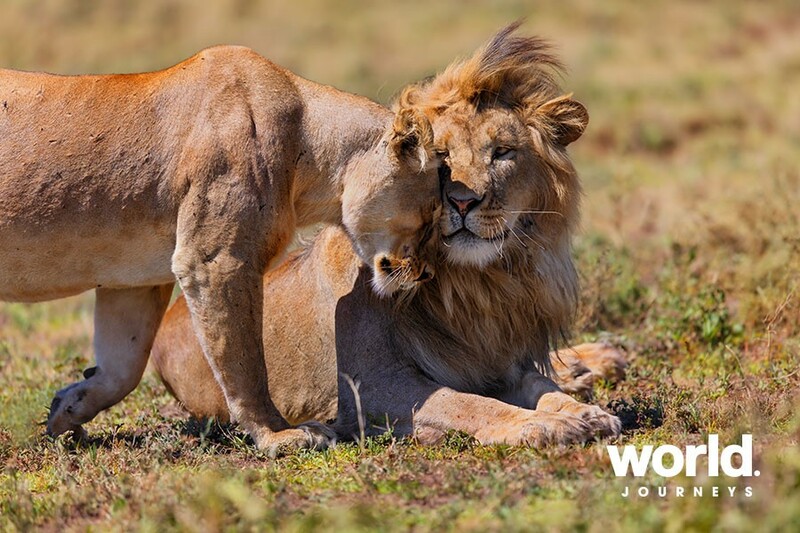 Day 2: Ngorongoro Today you will enjoy a day in the Ngorongoro Crater, often seeing four of the big five with ease! Return to your camp or lodge to overnight and relax. 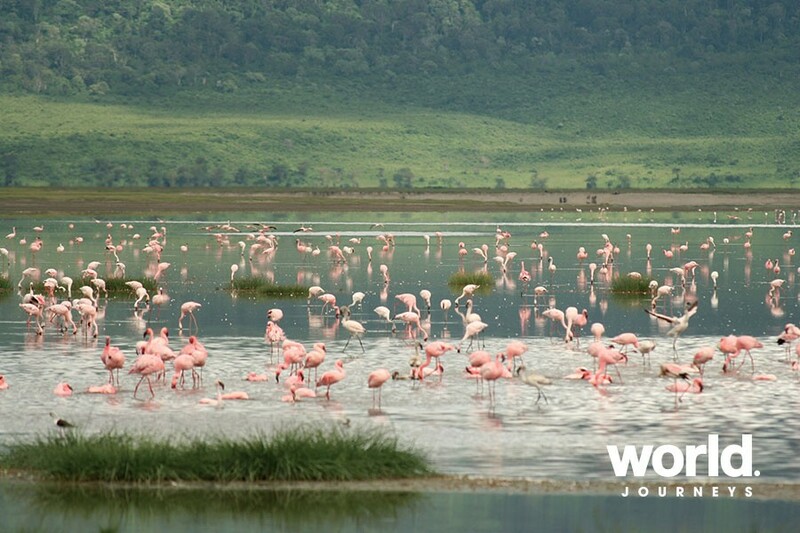 Day 3: Ngorongoro > Serengeti From the Ngorongoro highlands we drive down to the Serengeti. Picnic lunch en route enjoying game drives along the way. 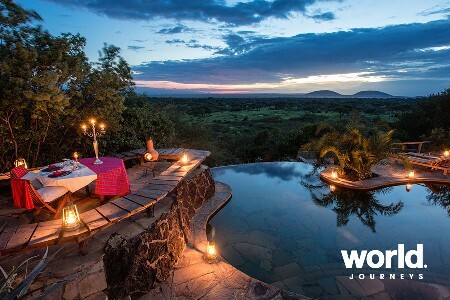 Stay a total of four nights in the Serengeti at one or two wilderness camp properties (depending on the season). 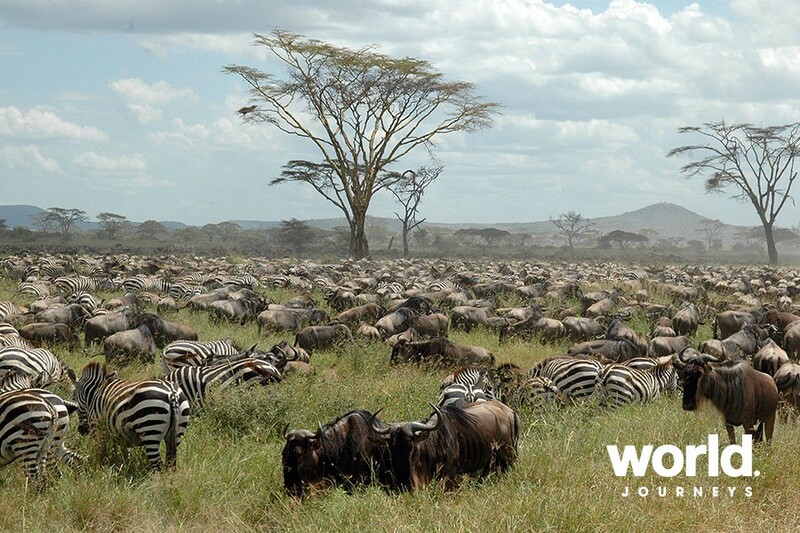 Days 4-6: Serengeti Spend three whole days exploring the Serengeti - unequalled for its beauty and home to more than three million large mammals spread over the vast endless plains. 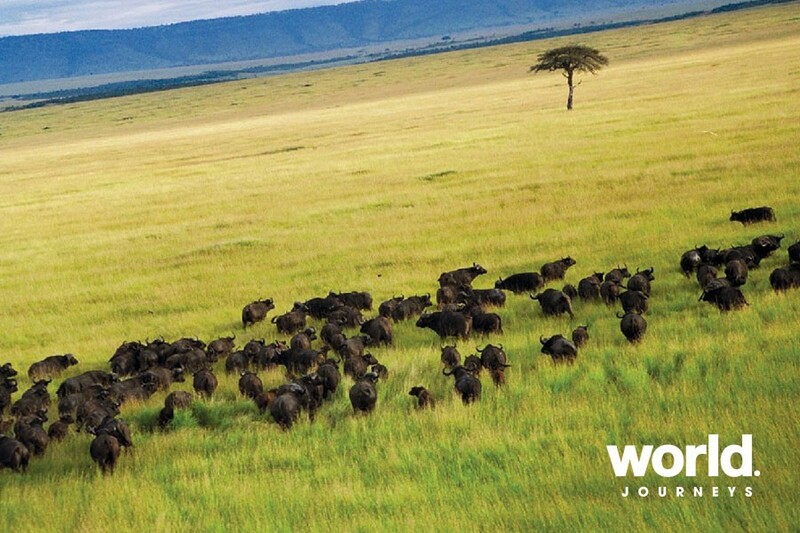 It is here, at certain times of the year, that we may encounter the breathtaking spectacle of the annual wildebeest migration, where one and a quarter million wildebeest trek in columns of up to forty kilometres long in search of grazing, drawing with them their predators and numerous other species of game. Balloon safari optional - pricing upon request. 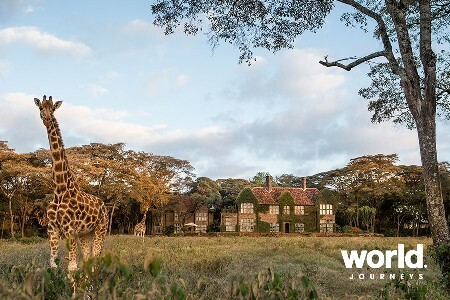 Day 7: Serengeti > Arusha From Serengeti either drive back to Arusha or enjoy a scenic flight over the Rift Valley edge back to Arusha (flight additional cost*). *Please note when travel is Jul - Oct the flight from Serengeti North to Arusha is mandatory due to the distances involved. Tour ends at Arusha Airport. Guaranteed departures with a minimum of 2 clients. Tour is also available on a private basis on request. 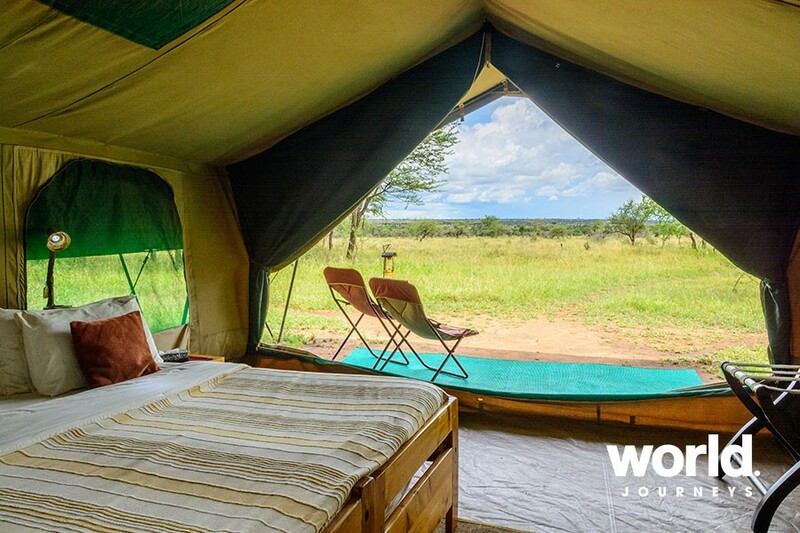 An optional Balloon Safari (highly recommended) is available depending on the location of the Serengeti camp at the time of booking. 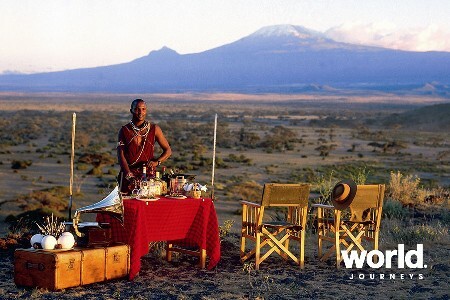 For this safari a maximum of 15kg luggage is permitted per person, in soft bags. Optional Flight Central or South Serengeti - Arusha/Kilimanjaro. 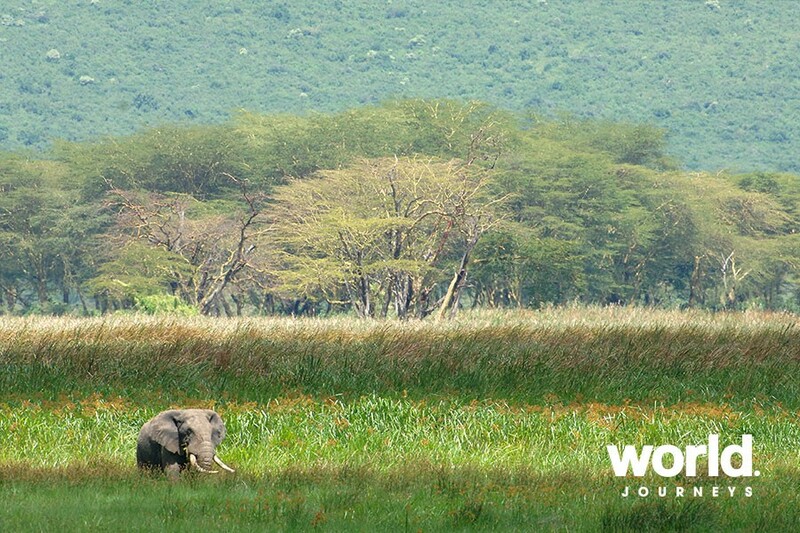 Flight from Northern Serengeti to Arusha during the months July - October is included.